You have a great idea of what you want to do but you just don't have the skills to implement it. Whether remodeling the kitchen, a spare room or adding on, some projects are better handled by professional contractors. However, make sure you do not get into an agreement with a contractor on impulse. Instead, picking a contractor should be a selective process that is well researched and prepared. This is not only a financial investment; this person (and their team) will be in your home and working with you on a project that may take days or, more likely, weeks to finish. A sound partnership is important. Below are some suggestions for planning out your partnership with a contractor. Also included are a checklist guide and contract example forms from our partner Lawchek®. All are helpful suggestions and tools before hiring any contractor. The following points may help you in the process of hiring and working with a professional contractor. Whether a full kitchen remodel or a new back patio, make sure to plan out your project in advance. You should know what materials you would like to use and what the end project will look like. If you are uncertain about various options, then consult an interior designer, landscape architect or architect. They can help take the ideas you have imagined and tell you how they can logically work. They can also help you create detailed plans of the project and a list of materials for its completion. Many times they will continue to work with you as the project is being completed as well. Having this type of plan in place before hiring a contractor is essential to ensure clear communication. If you start a project unsure of the final outcome you may cause delays and extra expense if you keep changing your mind. To have a large project planned in advance will help you to remain focused. Determine the kind of contractor you need. Will a general contractor be able to complete the whole project or will you need cabinet installer, plumber, electrician, etc.? Preplanning your project should help you answer some of these questions. You can be ready to interview contractors knowing that they either need experience in or will need to sub-contract certain aspects of your job. If they cannot do part of the project, will they expect you to hire a specialist (i.e. electrician) or do they have a partnership with one already established? Consider if they have previous experience with your type of project. Ask if they familiar with the architecture and age-specific concerns of your type of home. How have they met the challenges in the past? Research any permits that may be necessary. With a plan from your architect or landscape architect in place you will now have an idea of how much you will be changing your home. You may ask these professionals as you work out your plan if the project will need building permits. You may also ask this to your contractor as well. However, keep in mind that although some contractors will handle the building permit process themselves as part of their contract, others may leave it up to the home owner. Some argue that only the contractor should handle building permits as this ensures they follow all codes. If you get the permit and the contractor does not follow the codes you may have a harder time seeking corrections by the contractor afterwards. As a first step, it will be very helpful to know whether you need a permit before even contacting a contractor. This is also key to avoiding any fraud. If you already know that your project requires a building permit but your contractor tells you not to worry about it, you have clear warning that this contractor may not follow local and state building codes, get someone else! Consider the professionalism of your contractor. This is the first basic step when looking at different contractors. Check and see how long they have been in business, if they are easy to talk to and if they are able to meet with your timetable expectations. Determine if all of their contact information is current. Also, look for a contractor that is easy to reach; if you are playing phone tag to obtain a quote it is a pretty good indication of what it will be like trying to contact them once your project is started! Find out if they are a member of any trade associations and stay current in their training. As an extra precaution, you may also want to research with the county if they have been named in any past law suits. Contact the Better Business Bureau, Attorney Generals Office, and local consumer protection agency to check on any past complaints. Verify insurance and licence information. Insurance: Always make sure the contractor is properly insured. You should receive a certificate of insurance from the insurance agency listing you as the co-insured. It should be original and not a photocopy. The types of insurance you are looking for: General/Personal Liability which will protect your property; Workman's Compensation which will cover the contractor(s) if they are injured while working on your property; and Automobile which will protect you against any claims if they damage another vehicle/object while on your property. All these will protect you from having your homeowner's insurance responsible for any mishaps or accidents that may happen. License: Not all contractors need a license in every state. Also, the cost of a project can sometimes determine if a contractor needs a license or not. In most states the more expensive the project, the more likely they need a license. A good online reference to find out about license requirements in your state may be found at Contractor's License Reference Site. If your state does require a license, make sure it is current. Are you pleased with the project result? When talking to references for older projects ask them how the craftsmanship has handled everyday wear and tear. Did the contractor stay on or close to schedule? Did the contractor follow the written contract? In hindsight, is there anything you would add to the contract? Was the contractor easy to talk to or reach when you had questions or concerns? Did the contractor stay on site to supervise his/her team? Did you get along with the contractor's team? The sub-contractors they used? Where you happy with how the contractor and his/her team treated your home and property? Any messes, etc.? If there were any corrections, was the contractor willing to make changes or did you have to place a formal request or hire someone else? Would you use this contractor again and/or recommend him to someone else? Review estimates for differences and find out why. Once you have three or more estimates begin to look at the differences. Why are some contractors lower or higher than others? Ask them to explain their estimate. For example, is an estimate lower because of different materials used and does this translate to difference in quality? Does one contractor have a larger team or expect to hire more sub-contractors? 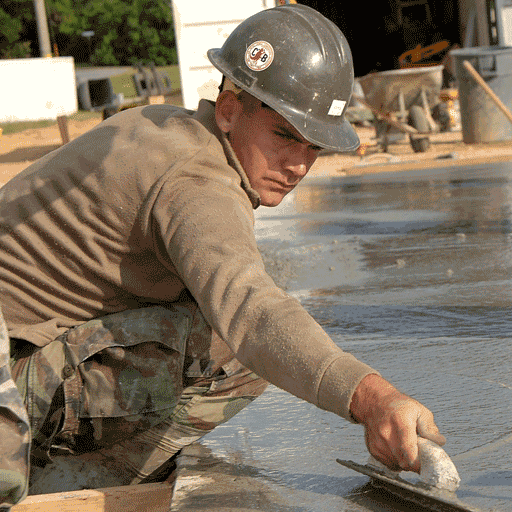 Is a contractor "saving you money" by cutting corners on safety, local regulations, etc.? Finally, the written contract you create with your contractor is extremely important. So much so that we have listed factors that should be considered for the contract in a separate section below. To review that section now, click here. The partnership with your contractor can be very rewarding experience if you make sure to plan ahead. With the items mentioned above in mind, we have compiled an easy to use checklist that will help you when reviewing various contractors for your job. We have listed the items below but you may also print out a PDF checklist by clicking here. The contractor is licensed (if required) and registered as a business in this state. Contractor has all necessary insurance to complete the job safely. Including: Worker's Compensation, General/Personal Liability and Automotive. I researched any complaints with the Better Business Bureau, Attorney General’s Office and other local consumer protections agencies. This contractor does not have too many jobs and can fit my project within my time schedule. I obtained at least 3 references (from each contractor). I have called every reference and asked thorough questions. I reviewed at least one project site from the reference list in person. I have a detailed bid from this contractor. Including: describes all parts of project to be completed, estimated material cost, estimated labor cost, estimated time needed for completion. I understand everything in the bid and what that project will entail. I have asked for clarification on anything I do not understand. The contractor clearly lists the types of materials he expects to use. The contractor offers warranties on materials and craftsmanship. This contractor will obtain all necessary building permits. This contractor has provided a sample written contract of a previous project. I understand the wording of the contract and can easily see how to adopt a similar one for my project. This contractor is easy to talk to and has been easy to get a hold of for follow up questions. The Contract The written contract between you and your contractor should be taken very seriously as this will be the roadmap that both parties will use to ensure that everyone is kept on task and happy. The following items are highly suggested to be included into the contract. You may add and remove items as they pertain to your particular project or situation. The contract should specify exactly what is expected to be done. Besides the project, any clean up, where materials will be unloaded, etc., should also be included. Specify the dates for commencing and ending the project. It is also a good idea to detail what is expected if delays occur due to weather, material delays, etc. Detail the materials to be used for the project and their cost; this includes brand names and other identification to make certain there is no confusion. Not recommended, but at the very least, detail an allowance specifically for materials with strict parameters. The contract should detail the contractor's insurance clarifying that coverage is expected through his/her carrier. It should be clear who is responsible for obtaining permits and what permits are required for completion of the job. Ideally permits will be obtained by the contractor. Method of payment and payment schedule should be clear. Never pay for the entire job in advance! Depending on your state there may be a limit to your initial down payment. Usually it is enough to cover any special material costs and initial start of the project. There is usually an agreement to pay by interval as different stages of the project are reached. Again, detail this in the contract. Once written, make certain you both understand the payment terms before either of you sign. Any warranties provided by the contractor should be detailed in the contract. Identify if they are full or limited warranties and describe exactly what they will and will not cover. If warranties include manufactures, make sure all of their contact information is included in the contract as well. Finally, a method for dispute resolution should be included in your contract. This should detail how each party should be notified of any grievances. The best means would be mediation or arbitration as this can save you both money. However, if a problem does arise make certain every notice of a problem(s) is done in writing so you have record of your attempts at solving the problem. As a general rule, be as detailed about the project and all expectations as possible. We have included some sample contracts from our partner site Lawchek®. These are only samples and should be reviewed and changed to fit individual project needs. This reference should answer basic questions. The questions recited on these pages are the more commonly asked questions of attorneys when a client first makes contact for the purpose of a better understanding of real estate legal matters. This is not a substitute for legal advice. It is never recommended that an individual undertake his or her own representation in such matters as real estate law, even though most states do permit such activity. Any individual who is serious about proper real estate transactions would want to have capable legal assistance. An attorney must be consulted. "This work is protected under the copyright laws of the United States. No reproduction, use, or disclosure of this work shall be permitted without the prior express written authorization of the copyright owner. Copyright © 2006 byLAWCHEK, LTD."